Halloween is very famous among all. But kids enjoy doing lots of art work during this celebration. There are many movies which are based on Halloween. These movies are not too scary but will set the Halloween mood for your family. This movie is very well known and successful Halloween movie. 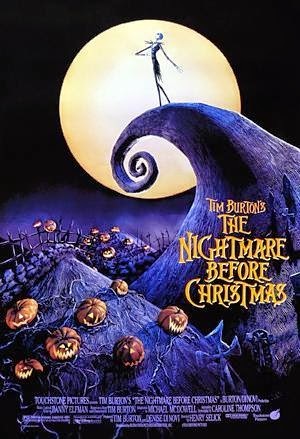 This movie is directed by Henry Selick and story is written by Tim Burton. Story is all about Jack Skellington who is a pumpkin king and how he left his job and halloweenland and he moved to Christmas town how promptly we decided to yuletide his own. This is 3d dark fantasy film directed by Henry Selick. This movie is all about how witch remake a doll to resemble an 11 year girl. Girl is known as Coraline. The story is taken from famous novel Children’s Horror. Do you love pooh? Then this movie is for you. In this movie Halloween will be in the Hundred Acre Wood, in movie Pooh eats all the candy thus lumpy and Roo set of trick to capture a scary Gobloon. This is not scary or so sweet; it is just a perfect movie for pre-school set. This movie is directed by Saul Andrew Blinkoff & Elliot M Bour. We all harry potter right? This movie can be seen any time of the year. In this movie Harry Potter boarding the Hogwarts Express that evokes the start of the school year. We all know there are many witches and magic too. Series of harry potter is written by famous & well-Known author J.K. Rowling. This is classic movie and story is all about the stuffy school teacher who tries her best to win the love of pretty girl due to her bravery. This movie is directed by Clyde Geronimi and Jack Kinney. This movie is directed by Bill Melendez, in this movie there is lots of fun and trick or treating. This movie is all about how a boy kept his eye on his nosy little sister on Halloween night. This movie is sirected by Kenny Ortega. The best part of the movie is when sister perform on “I put a spell on you” At a Halloween party. This movie is directed by Tim Burton and Mike Johnson. This movie is set in a fictional Victorian era village located in Europe. This movie is all about Victor and Emily. Victor accidently married a dead bride. In this movie they went to Land of Dead and you must see how they escape from there. This movie is directed by Tim Burton, in this movie the newly dead couples discovered a family and they moved to their house. This is comedy horror fantasy film. This movie is directed by Brad Siberling and the main character of this movie is a Poor Casper. The movie is all about a lonely Casper who struggle to find friends. This movie is all about a girl known as Marnie Piper and her mother who is a witch. Marnie visit to a strange place (Halloween Town). This movie is about the Mildred Hubble who is the school’s worse witch. You can see academy of witches in this movie. Gremlins are the original Furbies. They are trouble causing reptile. This movie is not about Halloween but yet it is totally monsters cause chaos movie. This is classic Disney movie. This movie is directed by Robert Stevenson. In this movie you can see theme from World War II and Nazi invasions which is handled by Kid gloves. This movie is directed by Mel Brooks and it is a wacky comedy movie where Doctor Frankenstein’s grandson follows a mad scientist footsteps. This is classic horror movie. Thus it is a perfect movie for Halloween. This movie is directed by Jim Henson and is perfect movie for one who is fed up of their younger sibling. This movie is directed by Nicolas Roeg. This is a comedy fantasy movie. This movie is all about a girl known as Luke Eveshim who learns about witches when she visits her grandmother’s place. This is a dark fantasy and adventures film which is directed by Ted Berman and Richard Rich. This is an animated comedy movie which is directed by Gerard Baldwin. This movie is all about how the Grinch wrap a Christmas in their house. These were some memorable and Halloween special movies which I always love to watch.